Agni Utsav is recognised as the national festival in the state of Orissa. It is an agricultural festival the farmers of the state with lots of religious fervor and a splash of colors with celebration styles varying from district to district and tribe to tribe. The tribal families starts preparing much in advance for the Agni Utsav festival. Orissa holds a great cultural and traditional importance in the country. Agni Utsav, the festivals that revolve around belief in the power of “Agni” – “Fire”. The religious belief of the state is depicted through this festival, where enormous heaps of hay is laid out in the fields on the day of the celebrations which showcase the collective work and bonding among the villagers. Traditions and rituals revolves around the Agni Utsav famous among the tribes and farmer family of Orissa. Starting week before, the women clean the home and the male members collect heaps of hay prior to a week to burn them on Agni Utsav Day. Farmers believe that burning the hay foretells about the crops throughout the year. The significance of the flames of the burning heap of hay bring in many predictions about crops. A westward tilt of the heap indicates floods; tilt on the eastern side means high tides coming to the farm ground. The fire flame tilting north is believed to be auspicious indicating good yield. The ritual and ceremony of offering prayers to the God of Fire is another part of the celebration. “Agnidev” – The “Fire God” would protect the crops from fire and hazards. Agni Utsav has been the major attraction for International tourist and travelers from different states in India, Tours and Travel Management company are promoting Agni Utsav through the concept of “Village and Rural Tourism” and helping boost Orissa Tourism. Tourist witness and participate inlarge with the tribes and local farmers to celebrate this festival and experience the grass root feeling. Agni Utsav is generally celebrated in Mid January to Mid February every year. The date of festival keeps changing every year. In 2011, Agni utsav will be celebrated on January 25th. Pongal is known for re-bonding with family and friends. It is It is the biggest harvest festival of Tamil Nadu and celebrated as thanks giving occasion to the nature in mid-January every year. Marked with merrymaking and feasting. Pongal festival date is derived from Solar Calendar, usually remains the same. For Hindus this festival is extremely auspicious and astronomically significant. Every year the sun begins its six-months-long journey northwards “Uttarayan” as it is called and moves into the zodiac Capricorn “Makara Rashi” This celestial festival is celebrated as Pongal in South India. Pongal is celebrated when the fields are blooming, this signifies the prosperity and good harvest especially for the farming community. During the Pongal celebrations farmers express their gratitude to Sun God and the cattle and thank them for a good harvest. Pongal delicacies are Venn Pongal, Sarkarai Pongal, Chakara Pongal, Sweet Pongal Recipe, Rava Pongal, Khara Pongal, Rice Pongal along with soft idlis, paper dosai, boonda, pineapple rasam, rajma curry, bread idli and milk payasam. 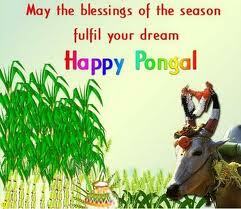 Across India, Pongal festival is celebrated as “Makar Sankranti” in central India, “Bhugali Bihu” in Assam. In West Bengal, it is celebrate as the “last day of Bengali month Poush”, here thousands of devotees take bath in Gangasagar, the point where the holy river Ganga meets the sea, to wash away all the earthly sins. What better way can there be to make this Pongal Festival memorable for your dear one than showering with great Pongal gift of Family Vacation at Toshali Resorts, along with home furnishings, home appliances, electronics, apparel to flowers, cakes, sweet hampers and many more. Winter Festival is held every year in the month of December in Mount Abu, Popularly known as the summer capital of Rajasthan is the only hill station in the entire North West India”. It is located on the highest peak of the Aravali range of mountains, Mount Abu is covered with picturous lush green forests and splendid waterfalls. Winter Festival is a three-day colorful festival is organized by the Rajasthan Tourism Development Corporation and Municipal Board of Mount Abu to attract tourists as well as to give the citizens a break from the monotony of everyday existence. In this annual festival, more then three million national and international tourists visit Mount Abu enjoying its scenic beauty, rich flora & fauna and the serene attraction of the marble art of Delwara Jain Temples. The winter festival of Mount glorifies the beauty and warm heart of the hill station. Three main attraction of the Festival that has given this festival a world platform today are the hospitality of the people, their colorful culture and exotic location. During the festival, the magnanimous processions of folk songs and dances performed by troupes coming from Punjab, Rajasthan, Gujarat and other nearby states and places end at the nakki lake chowk. To add to this Winter Festival, cultural activities like water sports also form an integral part of the festivities, like Rowing competitions are held on the lake, Cricket matches are organized. The grand finale of the festival is made brighter by a display of dazzling fireworks on three days. Poush Mela is one of the important Bengali festival celebrated at Shantiniketan in the district of Birbhum of West Bengal. This week long fair celebrated with true Bengali spirit, great splendor and magnificence and its diversity with great joy and excitement among Bengali family located across the world and by people belonging to different cultures and traditions from different parts of country participate in the fair. According to Bengali calendar, the fair falls on the 7th day of the Poush month. The week long Poush mela is observed in the last week in the month of December. The festival celebrates the commemoration of Rabindranath Tagore and Tagore’s contribution to the literature and higher learning at Shantiniketan. And Mela is a Sanskrit word meaning ‘gathering’ or ‘to meet’ or a Fair. Shantiniketan is a small sleepy town in the district of Birbhum, West Bengal surrounded with natural beauty. It is about 180 kms north of Kolkata, the capital city of West Bengal. The history of the place takes us to 1860s, it was known as Bhubandanga. Maharshi Debendranath Tagore found the place beautiful, peaceful scerene and found the destination suitable for studying and higher learning, so he purchased the place and named it “Shantiniketan”, the abode of peace…. Later in 1901, Maharshi’s son Rabindranath Tagore was successful in initiating an open air school that would follow the system of Gurukul system of ancient India. At Shantiniketan, he started his teaching on the seventh day of Poush with five students as the first learners. In 1913, Rabindranath Tagore became the Winner for the Nobel Prize in Literature.. Slowly the Santinniketan system became so popular by 1922, and the Santinniketan emerged as full-fledged university called Viswa Bharathi. At Shantiniketan, Poush Mela attracts large number of tourists from India also from different countries of the world. Poush mela is famous for the perfect congregation of different cultures and traditions blending at ease. Travels, Visitors and Tourists enjoy the fair and experience the rich heritage of Bengal and this taken to the higher level through the cultural performances by the students of Shantiniketan and live performances of Bengali folk music, Ravindra sangeet bynotably music gurus. Tourists not only get to witness and participate in the Poush Mela cultural activities but also get to see a large collection of local artistic handicrafts and printed fabrics for all to buy and experience the Bengali spirit in true sense. And get to learn the Strategic development of the university is explored to every one, welcoming everyone to the higher learning. 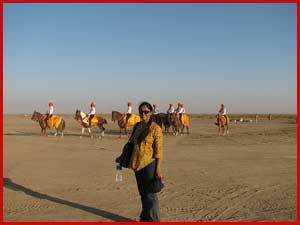 Rann Utsav is one of the famous festivals of Gujarat, Kutch. This is three to four days cultural extravaganza organized in different locations within Kutch in Gujarat. This festival celebrates the diversity and uniqueness of the Kutch district. The three days of Utsav is packed with cultural music, dances and craftsmanship, pageantry and in all an encapsulation of the true spirit and zeal of the inhabitants. It is organized by the Gujarat tourism department to celebrate the diversity and uniqueness of the Kutch district. People from far of places come and gathered during the festivities of Rann Utsav and celebrates the spirit and warmth of Kutch. The Rann Kutch Utsav is an unparalleled showcase of the ethnic and traditional widely different, however, hugely congregation of Indian traditional art forms. Visitors, locals from all parts if Gujuat state and India gather during the fair to celebrate and salute the spirit and warmth that people of Kutch have inherited and protected its tradition. Gujurat tourism and co-sponsors, engage all visitors. Semi parched Grasslands of the Banni hosts the most magnificent display of vernacular architecture as the exhibition platform for the varied range of arts and crafts of the Kutch region. The Festival showcases different art forms, dances, Music during the shade of Full moon and in an aura of chilling winters. Many tourists from outside the state of Gujarat enjoy various tour packages that involve sightseeing of the Kutch and adjoining areas during the fair. Muharram is one of the famous festivals of Muslims. This festival commemorates the martyrdom of Hazrat Imam Hussain, the grandson of the holy Prophet. It is said that during this month, while on a journey, Hazrat Imam Hussain, his family members and a number of his followers were surrounded by the forces of Yazid, the Muslim ruler of the time. In Iraq during the siege, they all were deprived of food and water and many of them were put to death. T his results a dispute and disagreement among Muslims on the question of succession after the demise of Hazrat Ali, the fourth caliph. So some sects of Muslims hold meetings where speeches are made on the happenings of Karbala and on the lives of martyrs. The Shias, however, observe this festival in a different fashion they put on black clothes, as black is regarded as a color of mourning. Assemblies are held every day during the first nine days where shia orators relate the incident of the martyrdom of Hazrat Imam Hussain and his party in a great detail. The preachers show their grief and sorrow by inflicting wounds on their own bodies with sharp metal tied to chain with which they scourge themselves. This is done in order to depict the sufferings of the martyrs. It is a sad occasion and everyone in the procession chants “Ya Hussain”, with loud wails of lamentation. Generally a white horse beautifully decorated for the occasion, is also included in the procession, to mark the empty mount of Hazrat Imam Husain after his martyrdom. 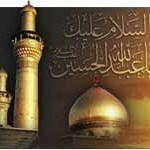 In 2010, Muharram is celebrated on 17th December. 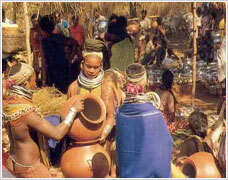 Charta Festival is one of the famous tribal harvest festivals of Chhattisgarh, celebrated in the Koriyan district of the state. This festival is related to harvest. The group of married women cooks several preparations of the collections and feast is organized. Charta Festival has kids going around the village collecting rice from each household. The married girls then cook the collected rice on the banks of the nearby water body as men and women sing and dance, eagerly awaiting the community feast to be served. 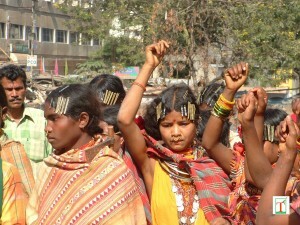 The feast features several songs and dance of tribal community. People show their talents in the celebrations. People get together and share the events of life. This festival brings unity and merry among the people of the community. In 2010, Charta festival is celebrated on 19th December. Lumbini is the birth place of Gautam Buddha, the Guru of Buddhism and is one of the most important Buddhist Pilgrimage Site. Lumbini is one of the famous festivals of Andhra Pradesh organized by the Tourism Department of the Government of Andhra Pradesh. Every year this festival is celebrated in the month of December to highlight the “Buddhist Heritage” of the state. This Lumbini festival provides an excellent opportunity to tourists to discover the remaining traces of Buddhist influence of the Hyderabad city. 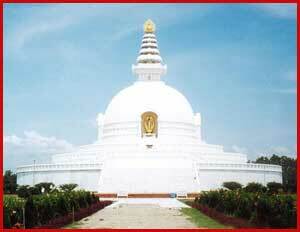 Lumbini is the place where Lord Buddha was born. Every year this festival is organized to give the significance of Buddhism. The Festival is organized at the Nagarjunasagar dam, in Hyderabad. The history traces back to 2000 years ago, the significance of Lumbini Festival marks the importance of Buddhism as a religion to the state of Andhra Pradesh., when Buddhism was the only prevalent religion in the state. It is celebrated every year to observe the significance of the holiness of Buddhism and celebrate the religion. Thousands of followers of Buddhism gather in Hyderabad during Lumbini festival every year, it is celebrated on one of the weekends for three days in the month of December. The pilgrimage celebration starts from the second Friday of the month. In 2010, Lumbini festival held on 10th to 12th December 2010. Makar Sankranti Festival : An auspicious harvest utsav in Indian culture. It signifies the transition of Sun to the Capricorn and is the traditional harvest festival in parts of South Asia. It is start of the journey of Sun to the Northern phase. Indian astronomy considers zodiac signs side really and not tropically and because the earth tilts 23.45 degrees (and Ayanamasa) the date. It was on December 31 about a thousand years ago, now it is on January 14, in another thousand years it will be around the end of January. It is celebrated under the names of Makar Sankranti, Uttarayan, Maghi, Pongal, Bhogali Bihu, Shishur Saenkraat or Makara Vilakku in parts of India and as Maghi or Maghe Sankranti in Nepal, as Songkran in Thailand as Pi Ma Lao in Laos, Thingyan in Myanmar and Moha Songkran in Cambodia, all traditionally rice producing and consuming countries. In Orissa too it is celebrated widely with major celebrations centered on Kalijai, Atri, Keonjhar, Jashipur and Jagatsinghpur. Legends abound – it is said to be the beginning of the ‘Uttarayan’ (day) phase of the gods, on this day Lord Vishnu ended the dominance of the ‘asuras’. Religious Benefit of highest merit acquired by a Holy dip on the day of Makar Sankrant : The time from Sunrise to Sunset on Makar Sankranti is auspicious. A Holy dip during this period carries special religious significance in Indian tradition and culture. Pilgrims take a Holy dip in the rivers Ganga, Yamuna, Godavari, Krushna and Kaveri at the Holy places situated on the banks of these rivers acquire the highest merit. Personally, Makar Sankranti always meant ‘pithas’ or home made sweetmeats, traditionally prepared with jaggery, flour of newly harvested rice, coagulated milk and desiccated coconuts. Oe personal favorite was one steamed variety resembling small idlis eaten fresh and steaming with thick jaggery – heavenly.